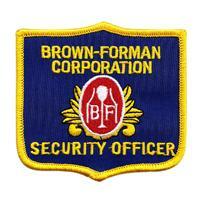 An embroidered patch replaces a costly metal badge on this security guard’s uniform shirt. 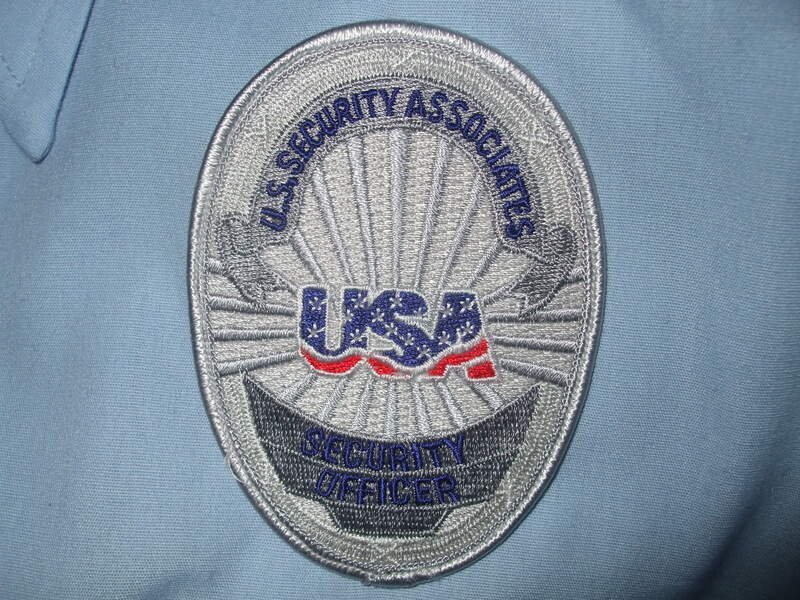 Security guards are major consumers of embroidered patches because the employees of private security companies are required by state and/or local law to wear uniforms. In most states, private security guards must wear a company uniform to make them easily identifiable, and the easiest way to customize a uniform is through the use of embroidered patches. 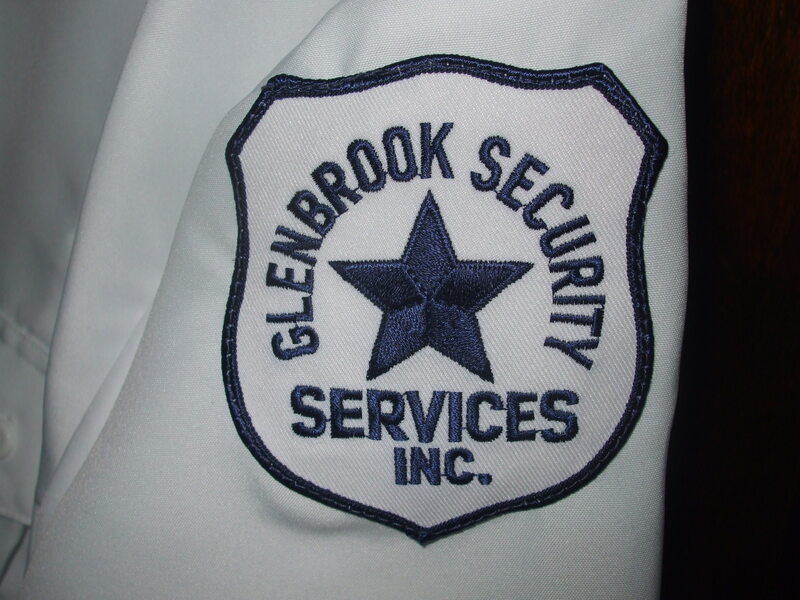 Corporate security departments and private contract security firms use embroidered patches to project an image of professionalism. Providing 24 hour uniformed security requires workers to have and wear a variety of seasonal uniforms and attire, so each employee guard needs long sleeve shirts, short sleeve shirts, a light jacket or sweater, a heavier cold weather coat, headgear and more. To customize this security apparel, each item requires an embroidered patch to make the wearer readily recognizable as an employee of the security firm. Single color patches are economical compared to multi-color patches and still show trained professionalism among the uniformed security officers. Expensive metallic badges have also been replaced by less costly embroidered patches that serve the same function, identifying the wearer as an official of the security firm. 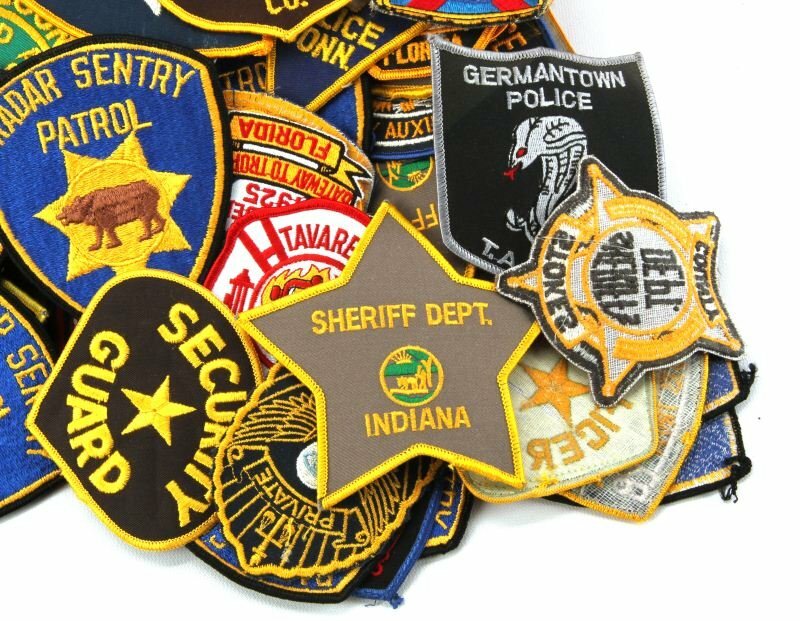 Companies with their own internal security force often turn to embroidered patches to provide a high visibility, professional look for their uniformed security officers. No matter the size of the security force, appearance and image are improved with uniformed personnel with official embroidered patches. Security firm patches are usually not as colorful and intricate as the embroidered patches worn by most police departments. Due to cost considerations, simple one-color or two color designs predominate the field, though multi-colored fully embroidered designs are also used by some companies. The Chicago Embroidery Company can make embroidered patches for your firm. Learn more at www.c-emblem.com or call 312-644-4232.